September 2015 – Got Hair Issues? I've Got Solutions. And we are in COUNTDOWN MODE! 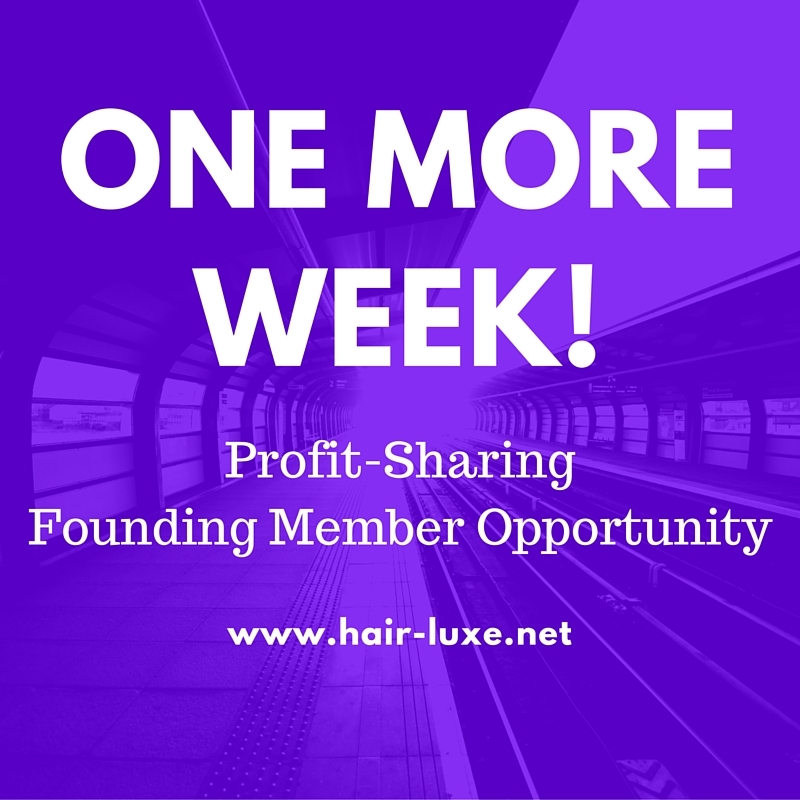 There’s just ONE MORE WEEK (until September 30, 2015) to join a top-notch company that’s growing at lightning speed and still get an opportunity to earn profit-sharing as this company expands world-wide! MONAT is already in the U.S. and Canada in less than a year since we opened our doors! That speaks volumes for the future of MONAT. 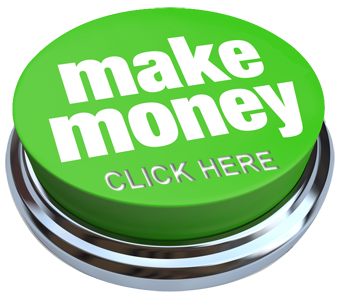 Who do you know who knows a SMART, potentially LIFE-CHANGING opportunity when they see one? Have them Contact Me ASAP! NEW PRODUCTS, NEW PRODUCTS, NEW PRODUCTS! These two products aren’t just “nice extras” but they have the four key ingredients that our other products have so when you’re styling your hair, you’re actually treating your hair. Check out the Clinical Results in the Graphic. DID I SAY “OH MY GOSH”? AND we have FOUR NEW TREATMENT SYSTEMS! Each one includes a combo of our existing products as well as our new styling products. There’s a “Balance-Style System“, a “Balance-Polish System“, a “Volume-Body System“, and a “Volume-Tame System“. 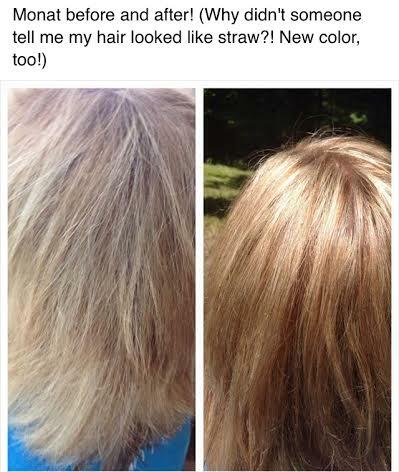 THERE IS LITERALLY NOW SOMETHING FOR EVERYONE’S HAIR!!!!! If you have questions Contact me ASAP! I never get tired of sharing success stories and testimonials about MONAT products! 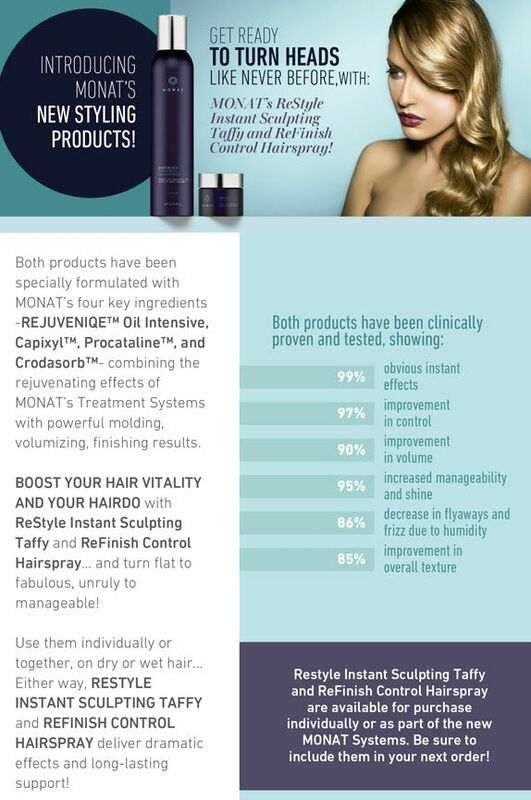 We have three different MONAT product lines: The “Volume Line“, the “Balance Line” and the “Men’s Line“. Lately, I’ve been hearing a LOT of Buzz about the Balance Line and I wanted share some pictures with you that are being turned in from Market Partners and Customers who are having incredible results with this line of products. The Balance Line is designed to put much needed moisture back into dry, coarse, over-processed hair, to tame unmanageable and frizzy hair and to soften and add shine to curly, unruly hair (it’s great for ethnic hair too). 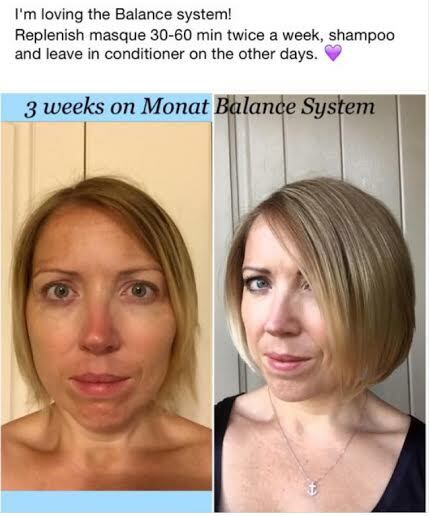 In the pictures below, the first lady (where it says “3 Weeks on the Balance System”) is a brand new Canadian Market Partner who is loving what it’s doing for her hair! The photo really speaks for itself. The third photo, as you’ll read, is from a hair-stylist’s perspective. 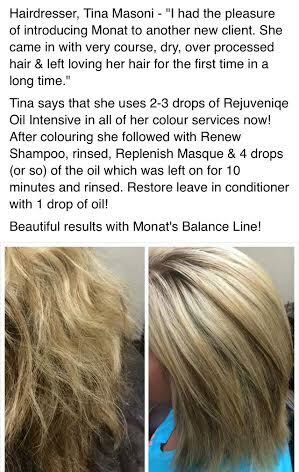 We now have hair stylists who will ONLY use MONAT products on their customer’s hair! 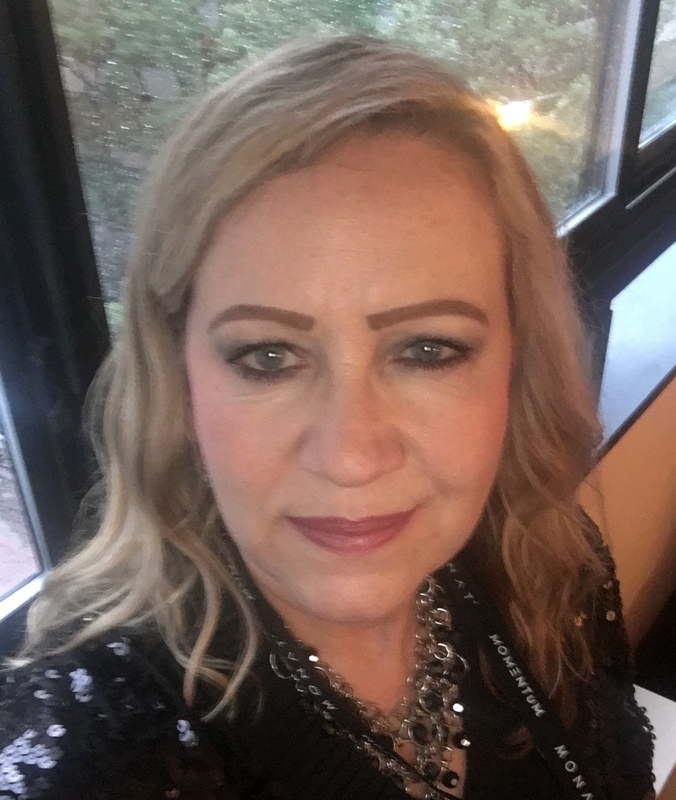 In fact I have a hair stylist on my team who’s been doing hair for 30 years and she says that she’s never seen products like this in her entire career.